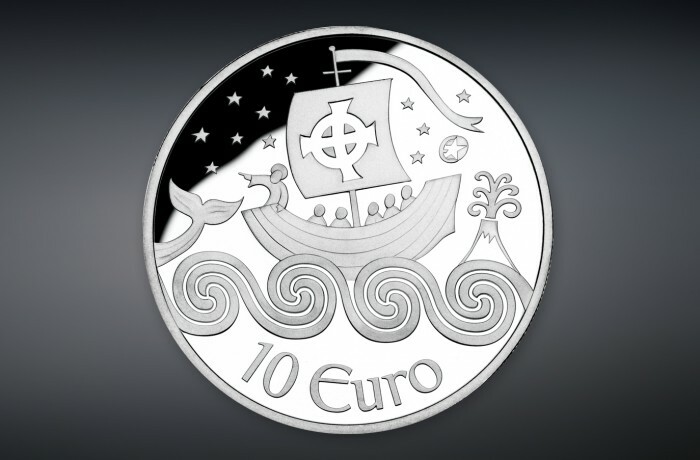 This competition-winning design celebrates the legendary voyage of St Brendan with a decorative and dramatic portrayal of the Christian navigator and his group of monks sailing West across the Atlantic towards the Americas. The incredible and epic nature of the journey is highlighted by the scale of the little boat against the mighty rolling waves of the Atlantic. The large waves have been stylised to form a traditional Irish interwoven pattern reflecting St Brendan’s Irish heritage.